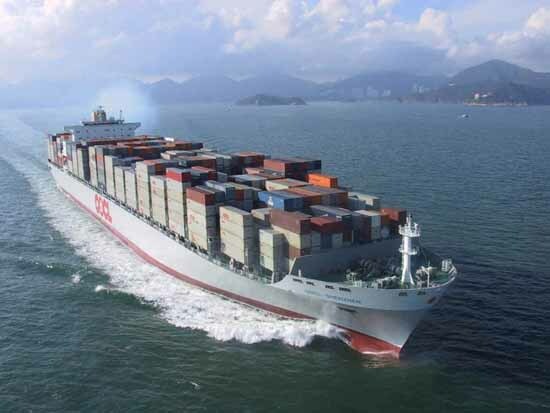 With a registered capacity of 8,063 Twenty-foot Equivalent Units (TEU) (4,348 above deck and 3,715 in the hold) the 322.97-m (1,059.61-ft) long OOCL SX-class vessels are the world's largest containerships. The Senzhen vessel was built by Samsung Heavy Industries Co., Ltd (South Korea), and is owned and operated by Orient Overseas Container Line Ltd (OOCL). Shenzhen is the first in a fleet of SX-class vessels which are to be delivered by the end of 2005. The ship currently serves the trade route between Asia and Europe.